Finally, veteran actor #AnilKapoor not only unveils his favorite song, Achche Din but releases the entire jukebox from the forthcoming musical bonanza #FanneyKhan. There are five songs on the jukebox, starting with Mohabbat, Halka Halka, Achche Din, Tere Jaise Tu Hai and Fu Bai Fu. 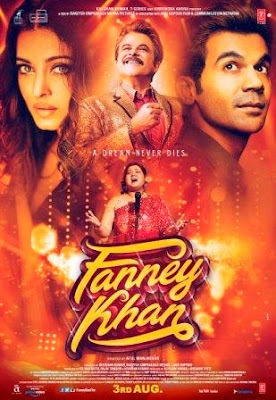 Fanney Khan is an official remake of the Belgian film Everybody's Famous!, the film chronicles the life of a middle class failed musician, who goes far and beyond to help his overweight teenage girl achieve her dream of becoming a singer.